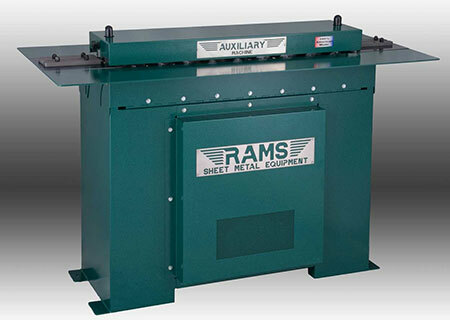 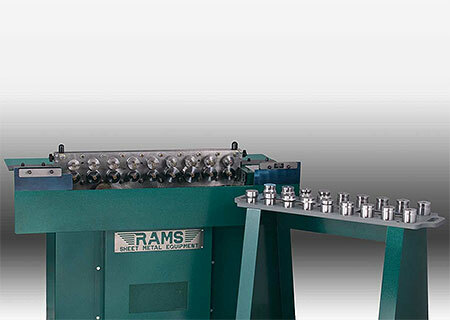 The RAMS 2014 Auxiliary Machine is like no other machine available on the market today. 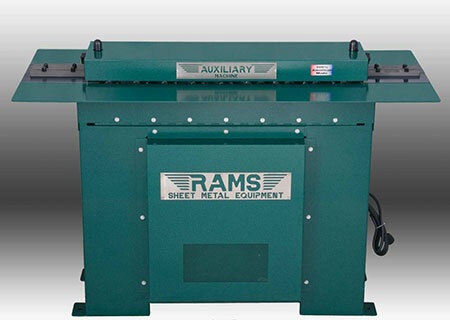 Features a 5 HP motor 208-230V single phase. 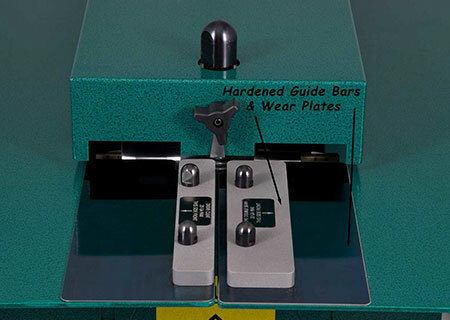 It was designed specifically for ease of use, flexibility and the convenience of the end user. 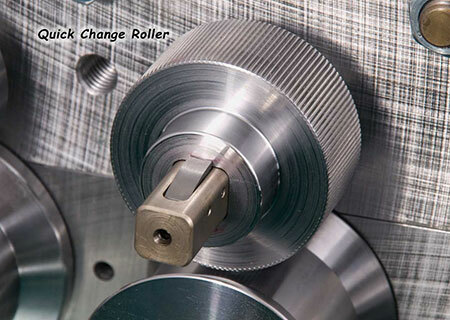 Key features include: hinged table top and square drive shafts which allows easy access to change out a complete roll set in less than five minutes, quick change tooling which requires no keys or tools, and quick jam clearing. 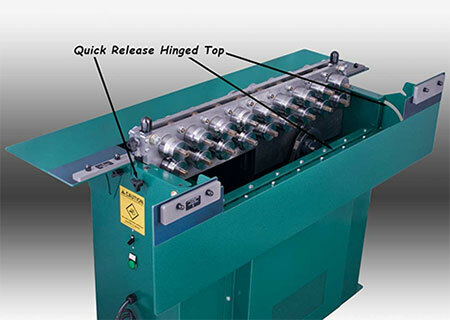 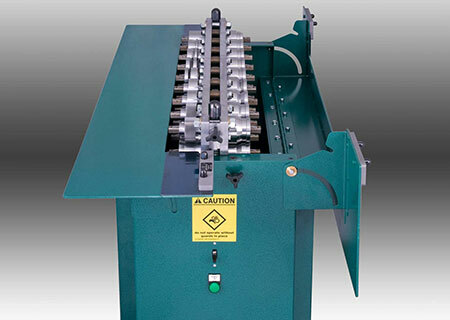 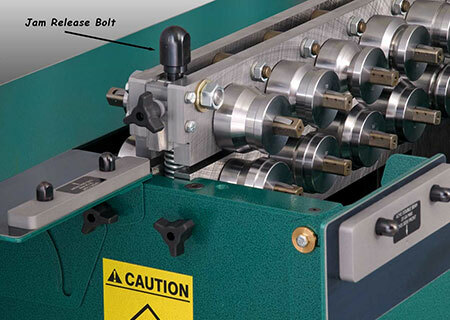 This machine can convert from a button lock to an Acme & Drive Cleat machine instantly. 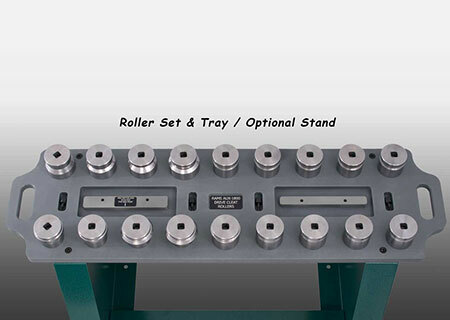 Please see slide show for more details.